The CareGiver Partnership: Male Incontinence Pants - Boxers or Briefs? Incontinence is a problem that affects both men and women with women being in the majority. However, recent estimates put the number of men suffering from incontinence at somewhere near 5 million people with experts suggesting that the problem of male incontinence being underreported. This has lead to many manufacturers developing incontinence products for men that can address the unique needs those men have when trying to manage incontinence. These incontinence products have evolved in many different directions including the development of adult diapers and various styles of incontinence undergarments. 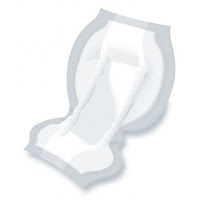 These incontinence undergarments can be worn with or without incontinence pads. The Depend adult diaper line offers a wide variety of incontinence products for men. Because of the increased demand for incontinence products for men many manufacturers have developed incontinence underwear (that is also referred to as incontinence pants), for those men who are dealing with incontinence. These incontinence undergarments are made to be as comfortable and as effective in protecting the male wearer as those that are made for females. The incontinence underwear that is made today uses the advancements in production and the newer fabrics that were first used for incontinence products for women. Best of all these incontinence products work well for most men who are experiencing light to medium incontinence. They can also be used with an incontinence pad (that is specifically designed to deal with male incontinence), to protect against heavy urinary incontinence. These incontinence pads are designed to keep any fluids away from the skin which keeps the male wearer drier, comfortable, and protected against skin problems. Another major benefit of this type of incontinence product is that incontinence underwear for men comes in styles that look and feel much like normal underwear. This means that they can be worn with confidence and discretion. Men who wear this type of incontinence undergarment report that they can wear them under almost any type of clothing without detection. Best of all, for the man who wants to choose what style he wears incontinence undergarments come in both boxer and brief styles. This allows the man who is trying to manage his incontinence to choose the incontinence product that fits best with his personal preferences and lifestyle. Check these out for the ultimate in normalcy and discretion. They will help maintain your dignity. Learn more about the product above. It is also important to know that incontinence pants or incontinence underwear for men offer the convenience of choosing between washable and disposable. You should consider the fact that while disposable incontinence underwear can just be thrown away after each use you can save considerable money by using the washable kind. You should also not let the embarrassment of shopping for incontinence products keep you from getting what you need. Today, there is a wide variety of online sites that will allow you to shop from the comfort of your home or office. You can find these incontinence products and more on online sites that offer adult incontinence products. For help and guidance in selecting incontinence products please click on http://caregiverpartnership.com/incontinence-product-finder. With the wide variety of choices in incontinence products it can seem overwhelming trying to choose the right one for you. It is important to realize that it make take some time and research before you find the right incontinence product or combination of incontinence supplies that best meet your needs. If you are still unsure as to which incontinence products will work best for you it can be helpful to check with your health care professional. To find out more about all aspects of incontinence please visit http://caregiverpartnership.com/landing/incontinence.